In recent times Honda has managed to outgrow the industry in general and Hero in particular, in the last 5 years, on the back of robust demand for scooters in India. 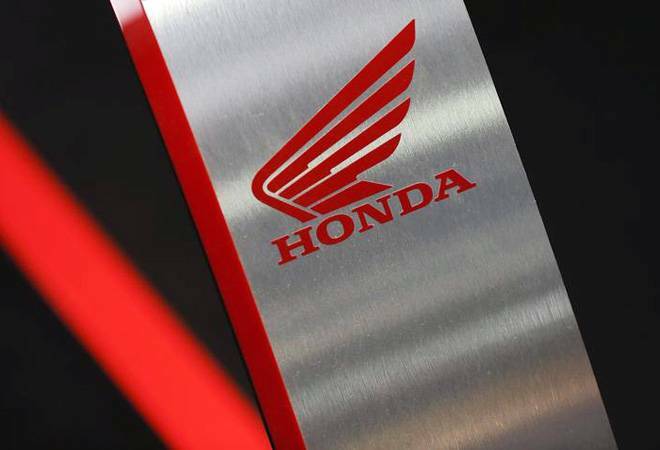 Two-wheeler giant Honda Motorcycle and Scooter India (HMSI) said on Tuesday that it would invest Rs 800 crore during fiscal 2019 to expand its operations in the country as it targets a double digit growth for the third consecutive year. In fiscal 2018, Honda registered a 22% growth in sales at 6.12 million units, surpassed only by estranged partner Hero MotoCorp that sold 7.59 million units with a growth of 14% over 2016-17. In the domestic market, the Japanese firm has nudged closer to Hero with sales of 5.78 million against Hero's 7.38 million. HMSI is by far the largest scooter maker in the country and accounts for over 50% scooters sold in the country. Currently, it has a production capacity of 6.4 million units spread across its four factories in Manesar in Haryana, Tapukara in Rajasthan, Narsapura in Karnataka and Vithalapur in Gujarat. "We will invest close to Rs 800 crore this financial year as we aim for double digit growth for the third consecutive year," said Minoru Kato, President and CEO, HMSI. In recent times Honda has managed to outgrow the industry in general and Hero in particular, in the last 5 years, on the back of robust demand for scooters in India. Honda's Activa, India's largest selling scooter, ended the reign of Hero's all time bestseller Splendor as the largest-selling two wheeler in India in 2016-17. In the last few months however, sale of scooters have started to taper off a bit while motorcycles have begun to show robust growth, something that experts believe may help Hero. In February and March for example, motorcycles grew at a much faster pace compared to scooters. In fact in March, growth in scooter sales was only in single digits. Honda said it would expand its network in rural markets and launch new products to increase sales. During 2018-19, it plans to expand sales network to 6,000 touchpoints from 5,700 outlets last financial year. "We will enhance our presence, especially in rural areas," Kato said. "We will also launch one new product and upgrade 18 other products during the year." A potential medium term spanner in the growth story not only for Honda but for the two-wheeler industry in general could be the upgradation to BS VI emission norms by 2020, which will lead to an increase in prices of products. Kato said the company will upgrade its products to be BS VI compliant much ahead of the deadline and has already started making investments in the factories for the same but added there may be a decline in sales after 2020 after prices are increased. In line with the growing demand for its products, the company has also been expanding its capacities at a manic pace. Its Gujarat factory reached peaked production within 6 months of commissioning in mid-2016 while in August 2017 it started a fourth assembly line in Narsapura near Bangalore which took its capacity to 2.4 million units making it the largest single location factory for the company anywhere in the world.